With over 20 years of experience in hair, Angela White has dedicated her life to her craft. Early on in her career she seized an opportunity to do hair backstage for Miss Arizona Pageants. With her love for hair design and sharp eye, Angela was chosen to style the hair for both the Winner and Runner-up for two consecutive years in a row. Later Angela was recruited to be an educator for The MASAKI Art of Hair Design team, where she spent years training, coaching, and leading stylists to excel at hair design, and earning the title of Maestro. 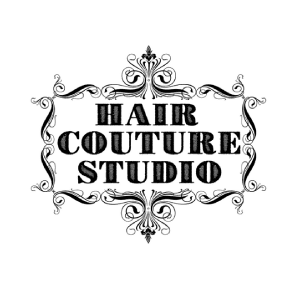 Today Angela continues to share her knowledge as an educator for EliColour while still having time for her growing clientele as co-owner of her new salon Hair Couture Studio. Lacey Robinson first fell in love with hair design 9 years ago, when she first took up the opportunity to work shoulder to shoulder with Angela White. Coming up as a young stylist Lacey never passed on any opportunity to improve her skills or resume. With Training from MASAKI Hair Design for over 3 years, along with guidance from her mentor, Lacey Learned to be observant and grew a Keen eye for detail. Lacey was also asked to do hair backstage for several fashion shows, J Beverly Hills show, and assisted back stage with Eric Bachelet. These Experiences have given Lacey extensive knowledge and skills which she utilizes regularly as an Educator for EliColour and as co-owner of her new salon Hair Couture Studio.